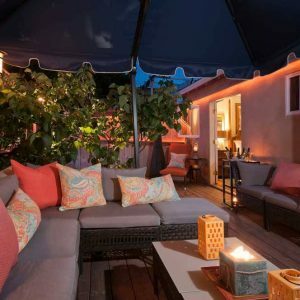 This quaint deck was placed on the side of a 1950s Bungalow home in the heart of beautiful San Diego. An outdoor design that correlates the feeling of Zen with a traditional style is surrounded nicely by the comforts of home. Comfortable pastel pillows indulge themselves on the over-sized rattan furniture. 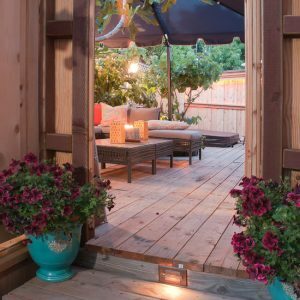 Up-lit Fig and Mulberry trees emerge from the deck, giving a feeling of warmth and texture as they are dimly lit by well-placed LED lighting. 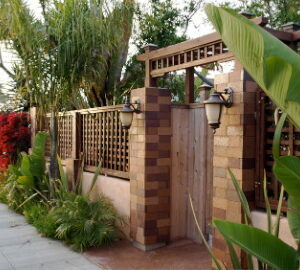 When entering the patio, reclaimed wood is used for the steps and deck. Recessed stair lighting acts a safety precaution as well as creating ambiance as you enter the space. 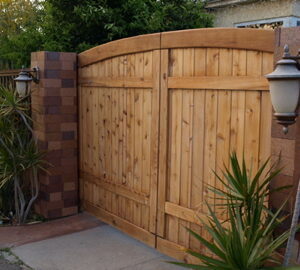 The patio is enclosed by cedar a wood trellis wall on all three sides. Night time Jasmine will eventually find itself covering the enclosed space. The patio is accessible by either a glass French door off the master bedroom or a single glass door off the home office. 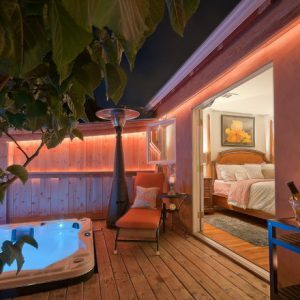 To end the day, a recessed hot tub with a surround sound system, LED lighting, and a soothing waterfall tops off the atmosphere and feel of the design. 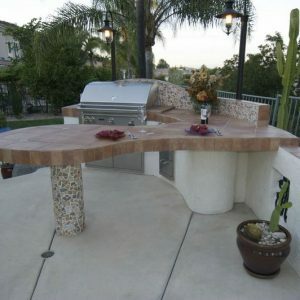 CairnsCraft Design & Remodel also specializes in the transformation of your outdoor space. Our specialized outdoorscapes integrate the natural beauty of the property with a functional space to cook, relax, or just simply to enjoy the tranquil scenery.